The Ezone Desk was designed in 2004 by Henrik Tengler. Over the years the Ezone Desk has proven to be a reliable and durable companion in the daily lives of thousands of hard working people. The Ezone Desk has stood the test of time and has become the go-to-desk for many large corporations that refuse to compromise style, quality and functionality. 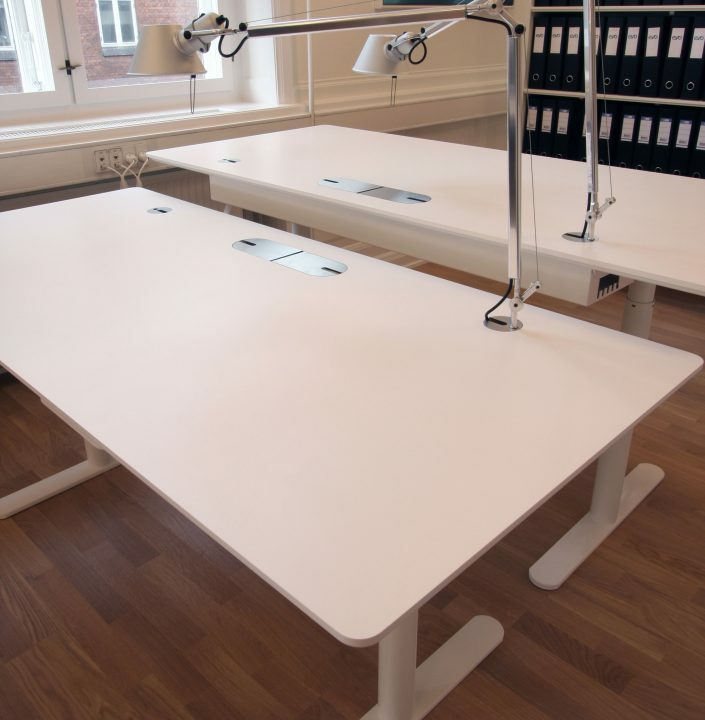 The Ezone Desk has become a true classic with- in height adjustable desks. It combines a functional and minimalistic design with materials of the best quality and an impeccable attention to detail. The Ezone Desk is part of a series where functionally and aesthetically live up to the highest standard of elegant and ergonomic solutions. The electrically adjustable Ezone Desk offers both exibility and an advanced ergonomic performance in the workplace. In recent years, it has become a well-known fact that being able to move around throughout the day increases the well-being of the employee. 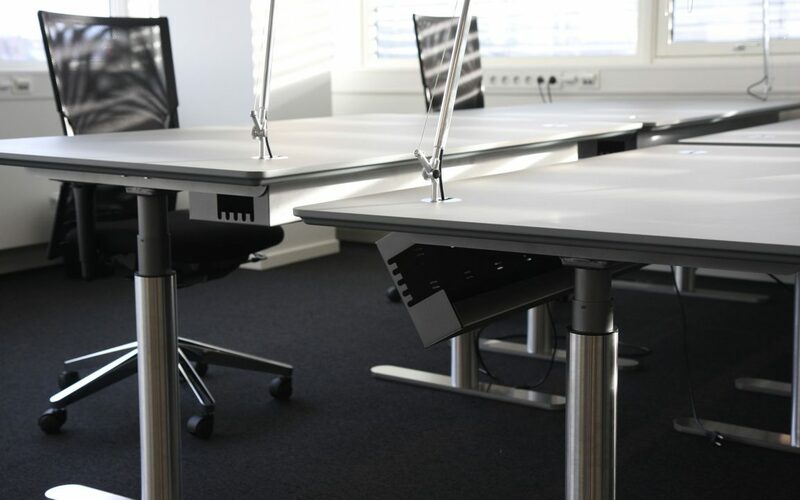 Onecollection offers sit-to-stand solutions for the entire office, including open plan work stations and electrically height adjustable desks for private offices and conference rooms. The Ezone Desk is available with a tabletop in linoleum, laminate or veneered oak, ash walnut and teak. The T-foot pedestal legs come in stainless steel or painted. 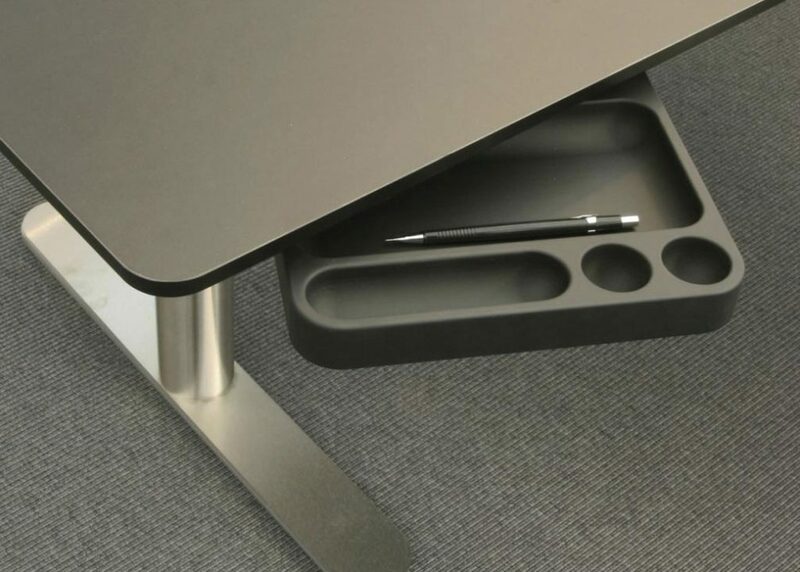 The Ezone Desk can be customised via numerous options, such as a foldable cable grommet in stainless steel, a hinged service carrier for managing cables, a pencil tray, a cabinet with drawers, a screen with a bulletin board and more. Materials: Electric height adjustable desk, 63-127 cm. Incl. two Ø 70 mm cable grommets in stainless steel. Tabletop in oak, walnut, ask, teak, laminate or linoleum. Frame in stainless steel or painted. Model and dimensions: For special sizes, please inquire for offer. Available in veneer, painted or sat. acrylic (8mm). Incl. holders in stainless steel. With feet in graphite powder coating or stainless steel. Top drawer is a pencil tray. OC 1312 – Form holder, 10 pcs.